The assessment of Professor Steven Heydemann of my lecture of 9 November 2017, published in Syrian Comment obliges me to react. Next to concluding that my new Syria book is “an informed and often insightful diagnosis of the violent conflict that has engulfed Syria since 2011”, Heydemann also maintains that my analysis of the war in Syria “seems”, at times, to be “almost wilfully distorted”. Heydemann moreover maintains that my narrative contains “evident historical gaps and omissions …, tensions and inconsistencies”. He even suggests that I suffer from historical amnesia. In fact, however, the opposite is the case: I do not provide a distorted view of Syrian history; it is rather Professor Heydemann who distorts my views by incorrectly portraying them. 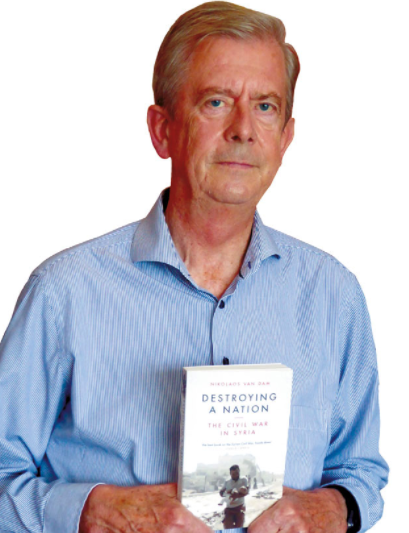 Those who have been missing some elements in my lecture (that was restricted to a maximum of 20 minutes), should refer to my book Destroying a Nation: The Civil War in Syria, in order to find answers to most of their questions. They could also listen to the whole symposium on “Syria: Who Will Win the Future?”, in which Hadi al-Bahra and Ibrahim Hamidi participated as key-speakers, with Karin Wester as moderator. I do not want to react to all the distortions Heydemann makes of my points of view, neither do I want to allege that he did so “almost willfully”. I would rather conclude that he was blinded by his own preconceived visions, when reading my book, as a result of which the words I put on paper did not enter his mind objectively as they were, but rather in a distorted version. The reader can see this for himself when carefully reading my book, or my article under discussion. Let us have a look at some of Professor Heydemann’s remarks. We were wrong to demand compromises of the regime in the first place. Did I ever mention such a thing? Not once. What I did say was that in order to reach a solution to the conflict one should preferably have contact with the main parties involved, including the Syrian regime. Of course, any negotiations should lead to a compromise. The positions of the opposition and the regime, however, remain so far apart, that a compromise seems impossible at the moment. In order to achieve a compromise, dialogue is needed, not only between the Syrian parties themselves, but also between the foreign countries that are involved by proxy, with the aim of convincing all sides that a compromise is urgently necessary. Most Western and Arab countries, however, broke off relations with the Syrian regime at an early stage of the Syrian Revolution, and thereby stopped having any potential influence over it. In my opinion, breaking off relations was, therefore, a mistake. In Van Dam’s view, because brutality is the nature of the Assad regime we—the external actors who supported the opposition—should have accepted it as such and tempered our expectations and policies accordingly. It is not me who said that we should have tempered our expectations, but I quoted people from the regime who “wanted the opposition ‘to scale down its expectations’ to some marginality, whereas the opposition wanted the regime to accept its own disappearance.” (p. 179 of Destroying a Nation). In fact, all parties will have to scale down their expectations, if a compromise is to be reached. a compromise has to be found. Thus far, neither side has shown any willingness to make any substantial concessions. In general, negotiations are supposed to end in a compromise, in which neither side obtains all of what it wants. If the aim of both negotiating parties is to obtain almost everything they want, leaving the other side with almost nothing, a compromise is practically impossible. (p. 169). If Heydemann’s analysis is correct, then any form of negotiations is useless. The UN Special Envoy for Syria, Mr Staffan de Mistura, should (following Heydemann’s analysis) stop his endless efforts. Other negotiation platforms, like Astana, should then be stopped as well, because the parties involved are almost all aware of the fact that the regime is not really interested in dialogue. My view, however, is that these forms of communication should be energetically continued, in the hope that in the end they will produce positive results. The alternative is doing nothing, which would be a guarantee that nothing positive is achieved, but rather the contrary. Whatever the case, serious efforts should be continued to help achieve a political solution, even if one is not fully convinced that the outcome will be a success. That is why I have ended my new Syria book Destroying a Nation, with the words: ‘Miracles only happen when one keeps believing in them’. (p. 183). What Heydemann (and some other critics) do not seem to understand is that sometimes – as with Syria – forms of dialogue should be encouraged, even if the prospects for a positive outcome seem distant. On the basis of my experience as a diplomat, I am convinced that in certain situations, serious efforts should be made to achieve a solution to a seemingly unsolvable problem; in some cases, efforts that appear pointless lead to success. Heydemann sees this as a “core inconsistency”. I do not. The alternative is “nothing ventured, nothing gained”. All possibilities should be explored. One must always keep in mind the hundreds of thousands of victims. It is quite obvious that without direct channels of communication, “dialogue” cannot take place. Quite early on in the Syria conflict, most Western and Arab countries cut off their relations with the Syrian regime, presuming that Bashar al-Asad would soon disappear as president. But it turned out to be wishful thinking. Having no diplomatic relations or direct communication with the Syrian regime, implied that these same countries lacked any means of convincing the regime that it should have to compromise with the opposition and implement reforms. Their only contacts with the regime were through the United Nations or through the regime’s allies, Russia and Iran. But the latter two states had different agendas and conflicts with Western countries (Ukraine and the nuclear file) that made these channels unproductive. Perhaps there might be a way out through a kind of national dialogue with the aim of reconciliation. But such a reconciliation is only possible if enough trust can be created among the various parties. Why would key figures in the Syrian regime voluntarily give up their positions if they can hardly expect anything other than being court-martialed and imprisoned afterwards? A good beginning could be made by the Syrian regime through essential reform measures by way of an adequate response to the reasonable demands of the democratically and peacefully oriented opposition. Having a totalitarian regime, president Bashar al-Asad should at least be able to control all his security institutions, as well as armed irregular Alawi gangs like the Shabbihah, to guide Syria out of this crisis in a peaceful manner. The basic message that the regime is not prepared to negotiate its own departure and death sentence, has – even after almost seven years of Syrian Revolution – not yet been fully understood by many observers. It cannot be overlooked that, in Van Dam’s telling it is they (the opposition and its external backers), not the regime and its allies, which bear the entire responsibility for what has befallen Syria. This remark is completely unfounded. I criticize most of the parties: the Syrian regime for its severe repression of the opposition and its disproportionate violence, which was bound to create counter violence. I blame the opposition for adapting positions which guaranteed that negotiations were going to be blocked. And I blame Western and Arab countries for creating false hope with the opposition and for prolonging the war by arming the military opposition, but not enough to achieve the regime change they wanted. This contributed to the number of deadly victims going into the direction of half a million Syrians. It also led to a much stronger presence of Russia and Iran in Syria than would have been the case otherwise. Let me add here that I am strongly opposed to foreign military interventions, because they generally only bring further disaster. We do not need academic studies to convince us that the foreign military interventions in Iraq, Libya, Yemen, Syria and Afghanistan have turned out to be disasters. Heydemann, however, would have preferred “the US to align its policies with its objectives in Syria, and equip local fighters more effectively to protect civilians and confront the regime.” In other words, to have regime change through military means. Yes, I do criticize the Western and Arab countries for creating false expectations and for not supporting the opposition sufficiently to achieve their aims, but at the same time I am convinced that their military intervention would have led – and has led – to disaster. Heydemann notes that the so-called “abandoned opposition” came close to defeating the regime twice, in mid-2013 and mid-2015, “without a lot of help from the West”. The military opposition groups, however, could never have reached this stage without tremendous help from Western and Arab countries. The opposition was not only fighting with sticks, fists and knives. Heydemann also maintains that the West, and certainly the US, “were marginal players in the provision of arms to the opposition.” The former Prime Minister of Qatar, Shaykh Hamad bin Jasim bin Jabir Al Thani, however, recently confirmed that the military aid of Qatar and Saudi Arabia was channelled to the Syrian military opposition through Turkey, to be distributed from there in full coordination with the United States. I would not describe that as a “marginal role” for the United States. The US role is also well-known from other sources. Neither Arab, Western, or UN actors impose on the regime a conception of dialogue based on Assad’s removal from power as a prerequisite—as much as the opposition might have preferred such an approach. The opposition did indeed accept the Geneva Communiqué (2012) as a basis for negotiations, but, next to that, kept insisting time and again that it was unacceptable for them to share power with President Bashar al-Asad and his main supporters with blood on their hands, who should in their view be court-martialled. Additionally, there is hardly any anti-regime Western or Arab leader who has not declared repeatedly that al-Asad had to leave as president, and that there was no future for Syria with him as president. Al-Asad was, according to most of them, not to play any role in the “interim period” supposedly leading to a political transition in Syria, let alone that he could play a role in future Syria. These positions have never been brought forward as something that was negotiable, and therefore they could hardly be seen otherwise than as preconditions. I also noted that the regime had unreasonable, if not impossible, demands just as well, by, for instance, calling all members of the opposition delegation “terrorists”. My main point was not that the demands of the opposition were unjustified, but rather that they were unrealistic. (pp. 67, 153, 155, 170, 174). It should also be noted that various countries have different criteria for who “terrorists” are. Readers might also be forgiven for perceiving in this account an unsettling sense of historical amnesia. How else to account for Van Dam’s neglect of the many attempts at dialogue, de-escalation, and negotiation that took place early on in the uprising and continued for well over a year, even as the regime’s victims mounted into the thousands. Has Heydemann read my book?, If he had, he would have noticed that I devoted an entire chapter to the various initiatives undertaken; more than Heydemann mentions. They are described in Chapter 5, “Intra-Syrian talks but no negotiations” (pp. 138-167), and elsewhere. Therefore, I am afraid that it is Heydemann who suffers from historical amnesia here; not me. But how much difference did Obama’s statement truly make? How many Syrians who were not otherwise inclined to join the uprising did so because of his words? Almost certainly these numbers are very, very small. To argue otherwise is to dishonor the hundreds of thousands of Syrians who took to the streets of Deraa, and Homs, and Hama, and Latakia, and dozens of other towns and villages across Syria to peacefully demand political change, taking hope from one another, and from the discovery that they could, after all, speak, act, and protest, only to be met by the regime’s violence. According to Heydemann I “seem to assume”! I do not subscribe to such a (fabricated) thesis at all! It also does not contain any logic, because massive demonstrations had already taken place long before Obama’s statement of August 2011. It was not the other way around. Isn’t it elementary for historians to be precise about the sequence of events? I did mention President Obama, however, in relation to his so-called red lines concerning the use of chemical weapons, to which he did not give the suggested follow-up; and Obama’s demand for Bashar al-Asad’s departure, without the intention to enforce it (pp. 126, 133, 171). Were the demonstrators so naive as to expect the regime to really make any drastic political reforms leading to a more democratic political system and to freedom of expression? Did they really believe that the regime would peacefully give in to their demands, or even that peaceful demonstrations could cause its downfall? It would be unjust to label these courageous demonstrators as naive. They were rather overtaken by their enthusiasm after being inspired by ‘Arab Spring’ developments elsewhere, and they imagined that they were going to be supported by Western countries in achieving their aims for freedom and reform. After all, the ambassadors from the United States, France and elsewhere had shown solidarity with the demonstrators by personally going to Hama in July 2011, thereby openly taking sides in the conflict under strong criticism of the regime in Damascus. Heydemann notes that “many Syrians today who would, if they could rewind history, stay at home, so horrific has the cost of the uprising been.” I think he is correct in this respect. One might also speculate that if there had been no foreign intervention and no arms deliveries to the Syrian opposition, the Syrian Revolution would have been suppressed much earlier. As a result, many fewer Syrians would have been killed; much less of the country would have been destroyed; and many fewer Syrians would be living in desperation and as refugees. In both cases, however, the regime would have stayed in power. Whatever the case, one may conclude that the Western and Arab military interventions in Syria, did not bring the people of Syria good; rather they intensified and prolonged the disaster. And if the regime would not have been that repressive, there would probably have been much less foreign interventions. If no political solution to the conflict is found, those who have suffered at the hands of the al-Asad regime will be more likely to renew their efforts to find a violent reckoning (p. 65). But this is speculation about the future. A political solution is in the interest of all involved parties, including the regime. Had Professor Steven Heydemann read my book Destroying a Nation without bias, he would have come to different conclusions, and he might even have enjoyed reading it! *Nikolaos van Dam is a specialist on Syria who has served as Ambassador of the Netherlands to Indonesia, Germany, Turkey, Egypt, and Iraq. He served as the Netherlands’ Spe­cial Envoy to Syria during 2015-16. His most recent book is Destroying a Nation: The Civil War in Syria (London & New York: I.B. Tauris, 2017). Nikolaos van Dam, Destroying a Nation: The Civil War in Syria (London & New York: I.B. Tauris, 2017). “Mano a mano” the intellectual beat. Regardless of who writes what, Syria is another humanitarian disaster that the Wests war on terror has produced. Instead of bringing about regime change to the positive side, it has created the “mother of all C-Fs the world has seen to date, which is being spread to other regions in the world. And if the regime would not have been that repressive, there would probably have been much less foreign interventions. False,if Qatar and SA didn’t have all this oil revenues,the foreign interventions would never happened,the Gulf was willing to pay to destroy Syria,and guess what ,now Syria is pushed more towards Iran,and who is gutted? You have Iran and hezballah at the frontiers of Israel,The Gulf lost billions for nothing and surprise,surprise the west still didn’t notice that there is a repressive regime other than the Syrian one,it is just happened they didn’t chose it in Syria. European and American are debating. Representative of the wooden concepts are full of comments in the comments section. The long-suffering people are absent. Reward yourself by orders of clairvoyants , get the praise and the panegyric, but keep in mind that your efforts remain ineffectual and the people of Syria are still suffering & being in a great humanitarian, social, psychological, medical, social, physical, structural, economical catastrophes . Yes Ghufran git it right. I think MBS Bin Salman got it right. Why use the word ‘regime’ to describe the Syrian government. Does van Dam also writes about the regime in The Netherlands or the US. I don’t think so. But by using this word he, maybe unintentionally, shows his bias. Reading it all van Dam should know this was a premeditated war on the country by the West on the orders of Israel. It was as the US Defence Intelligence Agency started by the Muslim brotherhood and al Qaeda. Hardly freedom loving folks. And for this thesis there is much proof. Assad maybe many things wrong but he was and is right in attacking these groups. 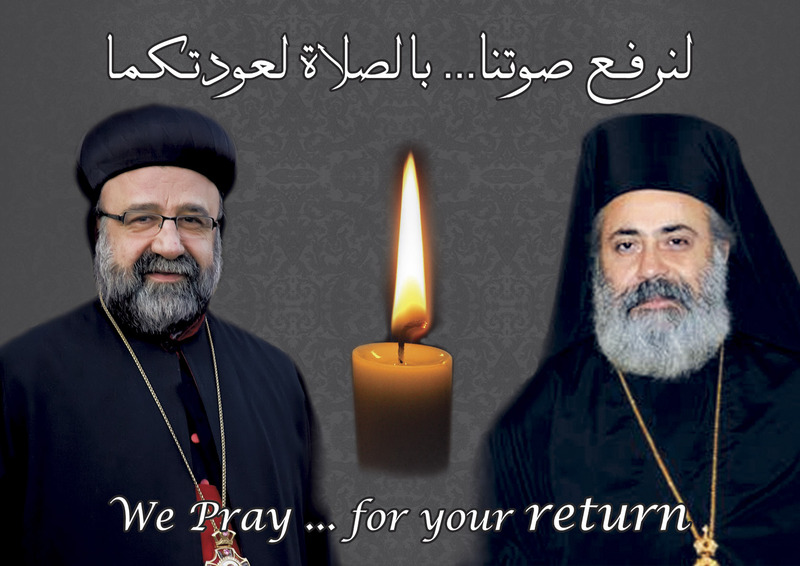 The Bishops of Aleppo are still in prison! I am in solidarity with Jesus! I’m sorry but Heydemann has zero credibility and shows no inkling of accountability. Look at his “reports” on reform and democratization in Syia, etc. — all of them turned out to be nothing but pie-in-the-sky dreaming at best, or deliberate obfuscation of real dynamics on the ground at worst. Someone who was so wrong about the real trajectory of the Syrian conflict should exhibit more caution and humility. His tendentious critique of Destroying a Nation exhibits the imperial narcissism of American liberal interventionists who careen from one catastrophic regime change effort to the next with zero accountability. He is a sign of the rotting horse of American intellectual life, which unable to assess the real objective terror of American imperialism. Stanley Hoffman was right about these types; they are too close to the fire of the empire. Who ever you are, if what you would like, that being Iran exploding, do you honestly believe that the whole of the MENA won’t explode too? Meddling in other countries business dealings as has been done to date, has only caused bloodshed, displacement, costing into the $Billions/Trillions with no end in sight. The present disturbances taking place in Iran, won’t produce the wanted results of the instigators, but that won’t stop them from trying. This appears: to use an american term, “A hail merry pass”, at the end of the game. You are a 100% right. One wonders why some people like the Middle East to explode further. After all only Israel would be the winner of this. You may be right as far as Israel is concerned, but it wouldn’t be the Israeli people who are the winners, for they too would be among the casualties, as in collateral damage. Those in the government – the select few – are the ones who will survive. As for who wants the MENA to explode, consider who calls the shots in the U.S.A.? Saving face anyone? Most Iranians are not happy with the mullah but they are not about to force a regime change when they see similar movements in the region only producing chaos and bloodshed. Turkey itself is not supportive of a regime change in Iran. As long as western governments raise the flag of freedom and democracy against their political foes only they will be met with skepticism and rejection from Iranians. Iranians want better lives but are not interested in an armed conflict with their army and the IRG. Reformists in Iran may indeed use the demonstrations to push for measures that address the economic demands of Iranians. People who see this as another Spring are in denial.